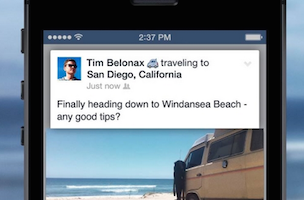 AllFacebook: You can now add “Traveling to” to your Facebook status update, just in case you were looking for more ways to annoy your friends. FishbowlDC: Jay Carney said the reason he hasn’t finished watching House of Cards yet is because he has a f*cking job you losers. PRNewser: If you “like” one of General Mills’ cereals on Facebook, you can never sue the company. It also bans you from bringing up your “honey nuts aren’t a real thing” discussion ever again.